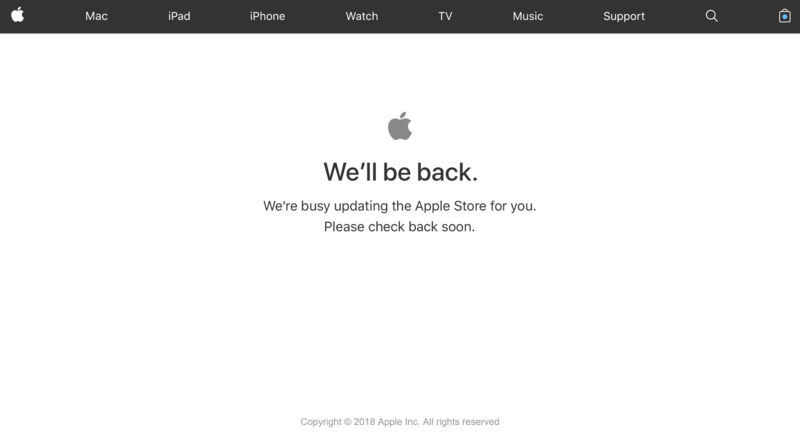 Apple’s online store is currently down, ahead of the tech giant’s major education event. The store being down all but confirms that Apple is preparing the addition of new products which may be available for purchase or pre-order as of today. Today’s education event begins at 11am ET and is expected to feature the reveal of a more affordable iPad aimed at students and teachers. The event is taking place at a school in Chicago. For more on what to expect from the event, check here, and stay tuned to MobileSyrup for coverage. Update 27/03/2018: A new 9.7-inch iPad has been announced starting at $429 CAD and the store is once again live.